The WorkForce ET4750 EcoTank all-in-one, powered by PrecisionCore, offers revolutionary cartridge-free printing with easy-to-fill, supersized ink tanks. It includes up to 2 years of ink in the box1. That’s an incredible amount of ink enough to print up to 11,200 pages2, and equivalent to about 30 ink cartridge sets3. Plus, it features auto-stop ink bottles with each color uniquely keyed for easy filling of each tank. And, you save up to 80 percent on ink with low-cost replacement bottles4. The ET4750 also offers a high-capacity 250 sheet paper tray, fax, 2.4inch color touchscreen, 30-sheet ADF, fast auto 2-sided printing, and convenient wired and wireless networking. 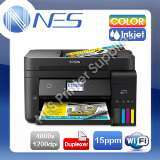 The Epson WorkForce ET4750 Printer was added to the Printers category in January 2018. 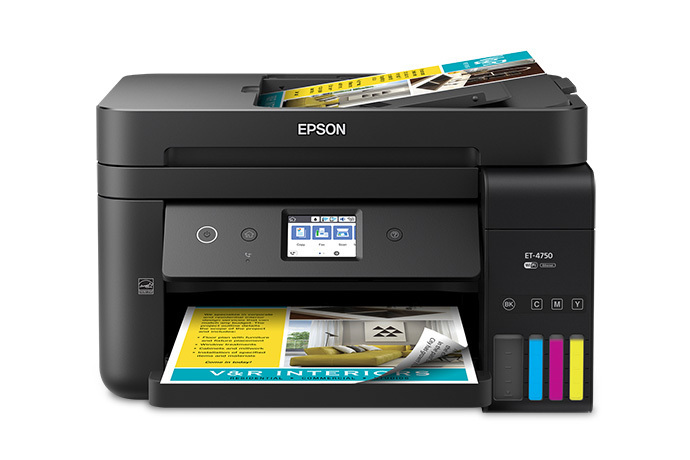 The lowest price GetPrice has found for the Epson WorkForce ET4750 Printer in Australia is $659.95 from mwave. Other merchants who stock it are mwave, Image Nation Online, Scorptec Computers, Landmark Computers, Harvey Norman, Amazon AU, NES online, Harris Technology, Cartridge Store, Best Deal 4 U Computers & I.T..